Hello faithful readers. My life has been insane. This isn't one of those blogs so I'll spare you the details. But suffice it to say that I have been writing faithfully. Only all of my pages go to a professor who tells me that I should have done more "research" and less "filler." You can't please everyone, and in that spirit, here is your "filler" for the day. 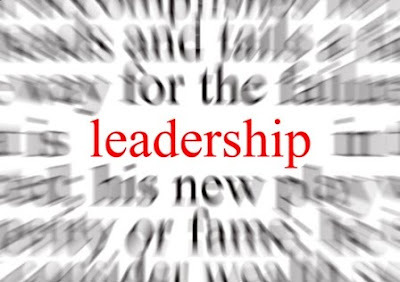 Have you ever been a part of an organization that adopted the personality of the leader? A fun outgoing principal who is surrounded by fun outgoing teachers. A serious youth pastor who has serious students. An impersonal doctor whose office is cold and impersonal. It's one of the laws of leadership that the organization's culture is affected by the strengths of the leader. Organized leaders produce organized cultures. Leaders with great follow through create organizations with great follow through. Fathers who are disciplined create families who are disciplined. But here is the scary part. The flip side of that law of leadership is true as well. The issues of the leader become the issues of the organization. A defensive leader creates a defensive organization. A lazy leader creates a lazy organization. An intemperate parent creates intemperate kids. That's why wherever you lead-be it a company, ministry, or your home-what kind of person you are determines what kind of leader you are.